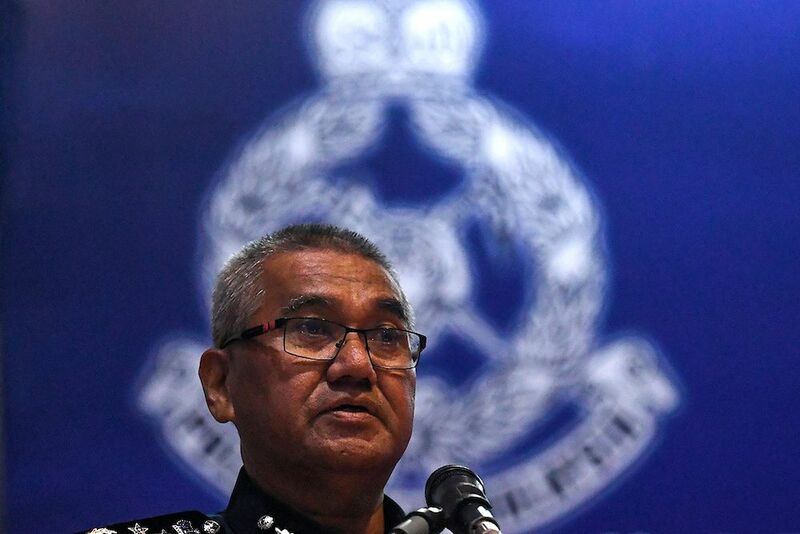 Inspector-General of Police Mohd Fuzi Harun is likely to be sacked because of failure to act on the 1Malaysia Development Berhad scandal, a highly placed government source said. “It’s a case of dereliction of duty,” the source, confirming a shake-up in the police force. Fuzi has been IGP for nine months. He replaced Khalid Abu Bakar who retired last year. Khalid is now on a travel ban list as Putrajaya ramps up its investigation into allegations of corruption and abuse of power by former top civil servants. It is not known if Fuzi has received his termination letter but he will join the ranks of other top-ranking officers who have either resigned or told to leave by the new Pakatan Harapan government for failing to act on the 1MDB scandal. Former Malaysian Anti-Corruption Commission chief Dzulkifli Ahmad resigned on May 14, five days after PH swept into power. Dzulkifli, 52, was appointed as MACC chief two years ago on August 1, 2016. He replaced Abu Kassim Mohamed, who was in the task force investigating the 1MDB scandal. The task force was dismantled by former prime minister Najib Razak. Dzulkifli was also caught in a controversy last year when a series of videos emerged alleging that he had an affair with a married woman. Former attorney-general Mohamed Apandi Ali’s service was terminated on June 5 and he was replaced by Tommy Thomas. On May 14, the same day Dzulkifli tendered his resignation, Prime Minister Dr Mahathir Mohamad announced that Apandi had been asked to go on leave. Apandi, who took office as A-G on July 27, 2015, cleared Najib of any wrongdoing in the 1MDB scandal in 2016. The Straits Times reported earlier today that Fuzi will be the first officer to get the chop and that other top brass will face a similar fate in a major shake-up of the police force. The shake-up will also see three departments in the police force shut down next month. They are the task force for anti-vice, gaming and gangsterism, special task force on organised crime and special tactical intelligence narcotics group. The Malaysian Insight is awaiting a response from the Home Ministry over this development and the replacement for Fuzi. – June 11, 2018.